United Nations World Food Programme, the leading agency fighting hunger worldwide. At WFP USA we believe that hunger is the world’s most solvable problem. We are dedicated to ensuring that the United States builds upon its legacy of leadership toward alleviating global hunger. Through policy leadership, fundraising and strategic outreach, we persuade the American people, business community and government to support the World Food Programme and join our movement to feed the world. -where children have the proper nutrition for a healthy start to life. -where families have access to food, even when natural disaster or conflict strikes. -where farmers grow enough food to feed themselves and have plenty leftover to sell. -where nations have the ability to respond in times of crisis. -where Americans work together to alleviate the conditions that perpetuate chronic hunger. -where every human being has the food they need to reach their full potential. 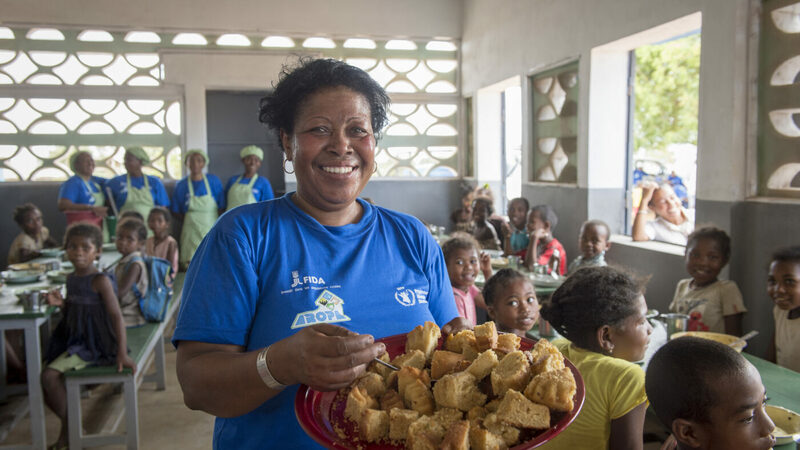 See the evolution of WFP's work through our annual reports, and meet our global community. Meet the men and women who are leading the humanitarian fight to end world hunger. WFP USA is governed by an unpaid Board of Directors who volunteer their extensive experience and unique expertise to help us achieve a world with Zero Hunger. WFP USA is made up of talented, committed people who are experts in their field and passionate about ending global hunger.